As Kelsey Balkwill rounds the newly surfaced bends of the Dennis Fairall Fieldhouse at torrid speeds, she peers at the nearby Lancer record board graced with names legendary in the Windsor track and field community. As she finishes her workout, she stares at the blue track, as she patiently waits for Mar. 7 – the day the best U SPORTS track and field athletes will measure themselves to her in her own backyard. A goal for the U SPORTS championship is to win, but I would also want to take a crack at the Lancer 600m record. That is no small ask. The record of 1:30.48 stands from 2010 and is held by none other than Bishop – who finished just off the podium in fourth at Rio 2016 in the 800m event. Aiming for the Olympian’s record is not wishful thinking for Balkwill. The 400m hurdles specialist has been having a year for the ages. 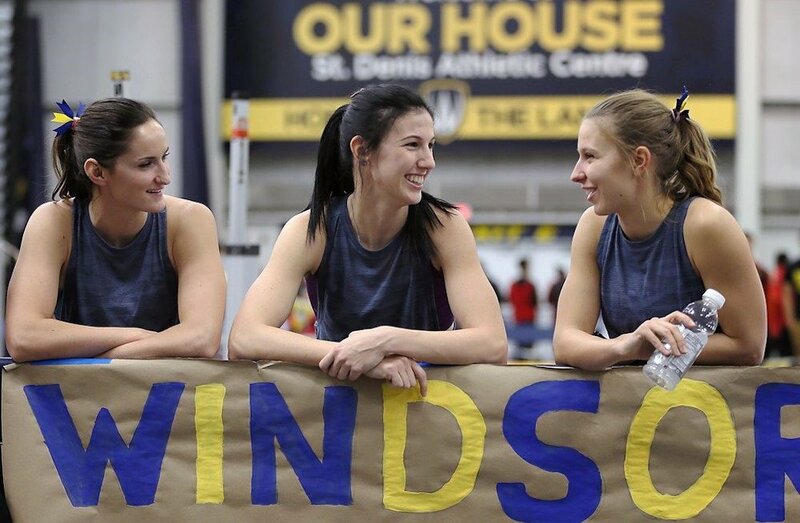 First, she rewrote the Lancer 300m record at Windsor’s Can Am Classic – her first race of 2018. Two weeks later, in Indiana, she ran to a time of 1:30.84 in the 600m - severely threatening Bishop’s school record. Then, she set a personal best of 52.64 in the 400m at the Tyson Invitational in Arkansas in mid-February. Her clocking qualified her for the IAAF world indoor championship in London, England, which happens one week before the U SPORTS Championships. The former NCAA athlete for the University of Miami Hurricanes has been making a rigorous racing schedule look easy by routinely setting personal bests and breaking Lancer records by the week. But, as is the story with most athletes, success comes from patience, and often supersedes a struggle. Balkwill’s case is no different. Mentally, when you get a single injury, you can find the energy to fight through it. When it happens multiple times, it just becomes exhausting. “There were many points before today when I wanted to quit,” she remembers. A promising high school career in Windsor had led to approximately 65 scholarship opportunities across North America. Balkwill remembers choosing Miami for its temperate weather and focus on athletics. When she got there in 2011, however, disaster struck. What followed was a string of more stress fractures between sporadic training bouts. The injuries were taking their toll on Balkwill. “Mentally, when you get a single injury, you can find the energy to fight through it. When it happens multiple times, it just becomes exhausting,” she says, admitting she even started hating the sport. If there was a positive point in Balkwill’s first three years of school, it was those summers at home. 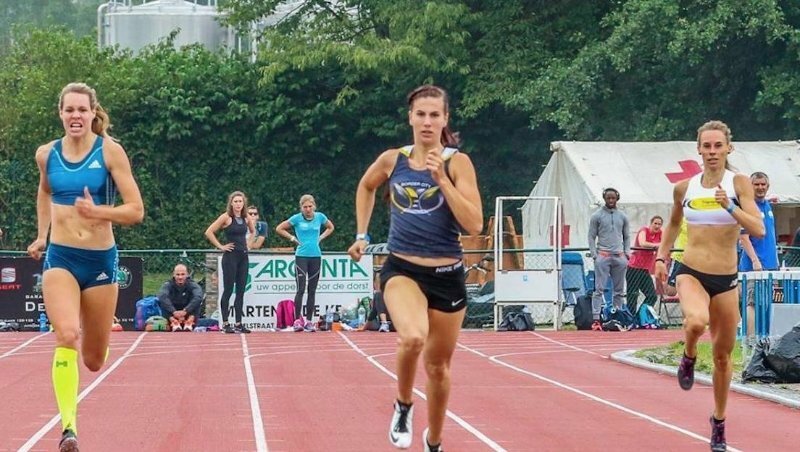 Though that time did not lend itself to much running, she was able to use the summer months to reconnect with her high school coach, Kurt Downes. When Kelsey came in as an eighth grader, she was a physically fit kid who wanted to get better. It made me start to like coaching. Though he only saw her for a few months per year in Balkwill’s undergraduate career, Downes did all he could to help her get back on track. His willingness to help her succeed was deeply rooted, for she unknowingly had helped him kick-start his career as a coach. Downes was fresh off three years as a Lancer track and field captain, where he was nationally competitive in the sprints and jumps, when he began coaching. One of his first athletes was a young, pre-teen Balkwill. Quickly, their relationship became symbiotic. It came as no surprise then that Balkwill finally achieved success in her fourth year with the Hurricanes and made the decision to pursue track and field post-collegiately. She also knew exactly where she wanted to do it. My current training partners make me take such a healthy approach to track and field. We laugh and joke during practice, but also get so much done. It is a great environment to be in. We push each other to be better. 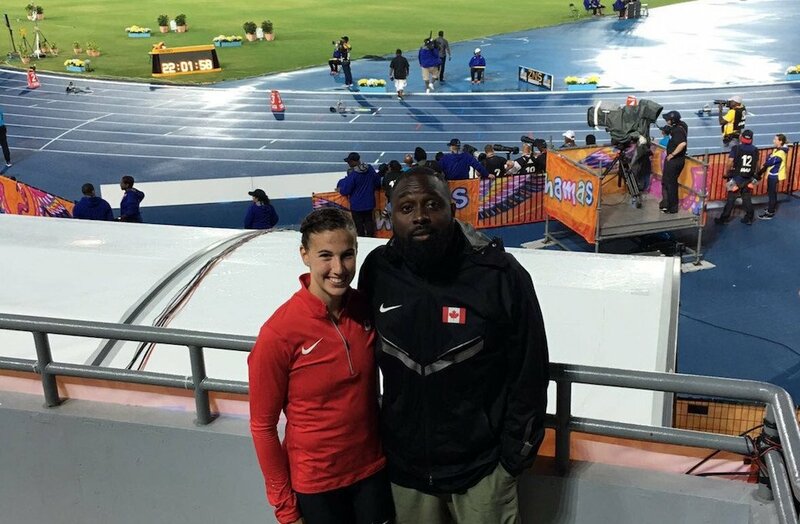 Since having graduated from the NCAA and fully reconnecting with Downes in the summer of 2015, Balkwill has remained healthy, achieved personal bests and has qualified for three Canadian national teams. The prospect of joining a tight knit training group also enticed Balkwill to return home. 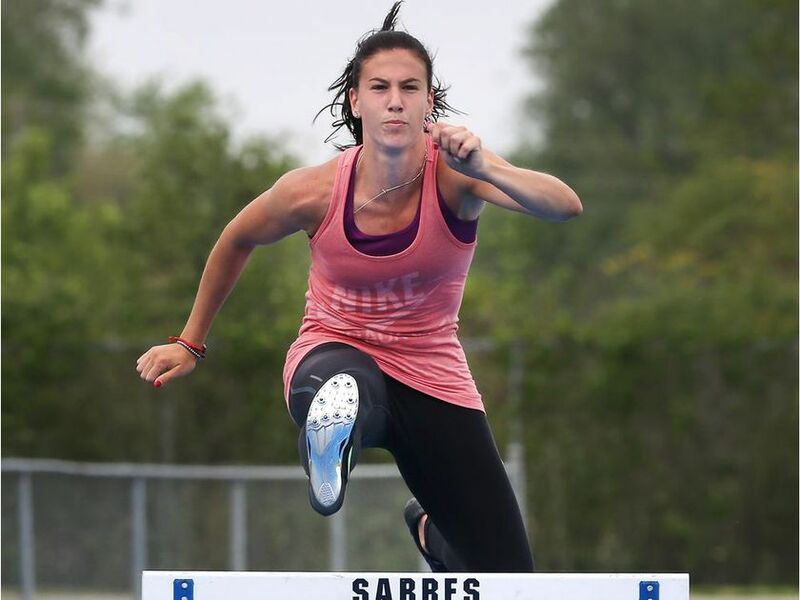 Now, with the help of her teammates and Downes, Balkwill is in the midst of what will be the three busiest weeks of her athletic career: the OUA Championships, the IAAF world indoor championship, and the U SPORTS Championships happen on three consecutive weekends. Balkwill also has her eating schedule meticulously planned out from now until the championships. 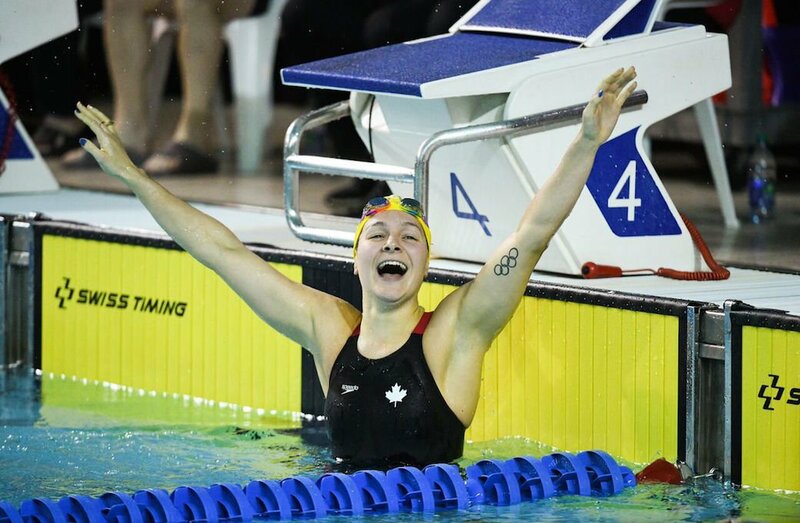 Though she admits to being more of a short-term goal setter than a long-term one, Balkwill hopes to use this year’s U SPORTS Championships as a positive stepping stone for what is to come. Watch Balkwill run at the U SPORTS championships, Mar. 7-10 at the University of Windsor. Alex is in his first year as a Master’s student at the University of Windsor, studying sport psychology. He completed his undergraduate degree at St. Francis Xavier University, where he began his varsity sports career as a cross country and track and field athlete for the StFX X-Men. Alex is an acting writer for Athletics New Brunswick and has a blog featured on the Canadian running website, Trackie.com.